It’s our little secret to thick, juicy lashes! Before applying mascara, place open curler on bare lashes, getting as close to the lashline as possible. Gently squeeze handles & hold in place for a few seconds. Release the curler before pulling away to avoid tugging lashes. Finish with two coats of the deluxe lights, camera, lashes™ 4-in-1 mascara. 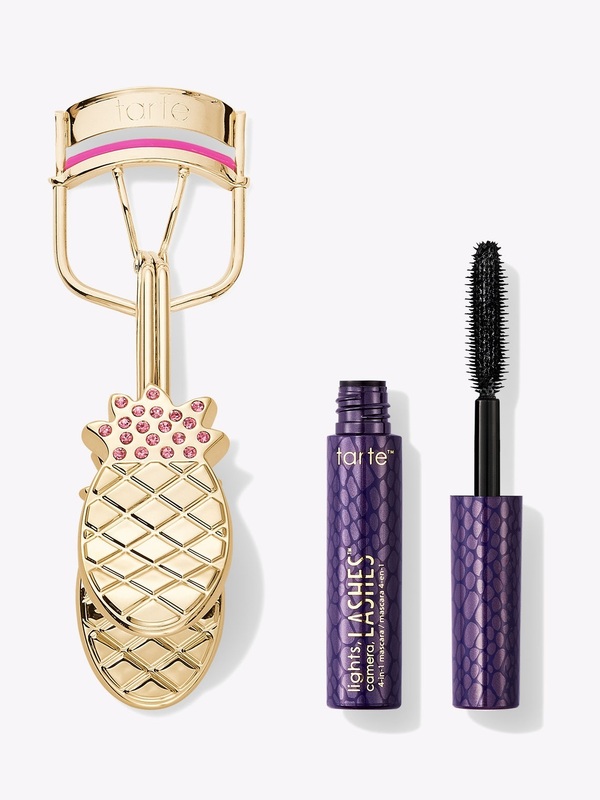 mascara Ingredients: Water/Aqua/Eau, oryza sativa (rice) bran wax/oryza sativa (rice) bran cera, cyclopentasiloxane, hydrogenated olive oil stearyl esters, cera carnauba/copernicia cerifera (carnauba) wax/cire de carnauba, alcohol denat., palmitic acid, stearic acid, candelilla cera/euphorbia cerifera (candelilla) wax/cire de candelilla, triethanolamine, acacia senegal gum, panthenol, VP/VA copolymer, polyvinyl alcohol, aminomethyl propanediol, chlorphenesin, ascorbyl palmitate, phenoxyethanol, iron oxides (CI 77499). curler Made in China. mascara Made in Italy.